I eat dirty tissues so I can poop and wipe at the same time. Money works too..
Heavens, she’s not judging, just trying to be helpful. Ann, I can see just from this picture that you could only take 1/4 inch off those nails tops before you cut the quick. Way to be judgmental. My dog likes tissues too! Any paper he can get his teeth on really! Hilarious caption! A quick that is overly long can actually be shortened – over time – by keeping what can be trimmed, trimmed. A quick that is too long comes from the nail not being trimmed over time. Very careful, bi-monthly trimming actually makes the quick shorten. My dog has long nails too, you can’t clip them as they’re alive to the end. Stop being so judgemental – that’s why we can’t have a nice peaceful internet! Those big blue eyes say who me? What a beautiful dog. 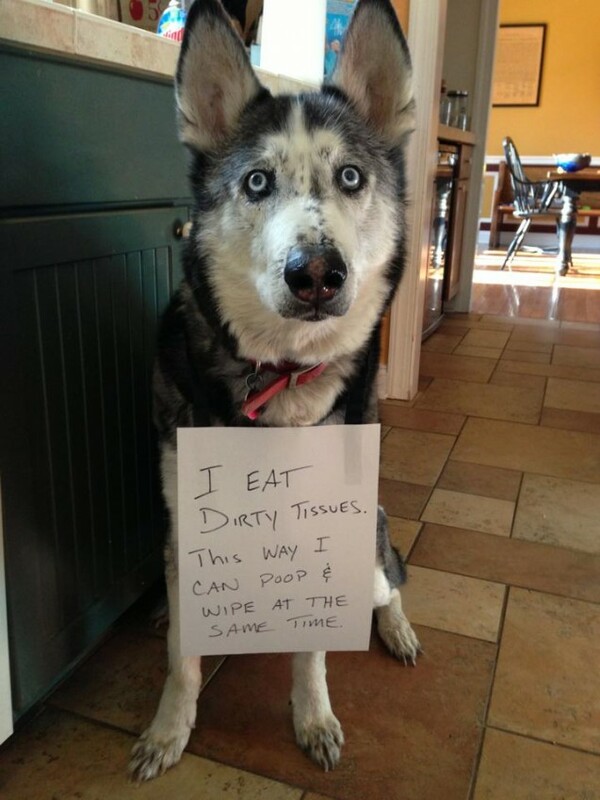 My dog loves dirty tissues too!